When we hear the phrase “trust totally in God,” most of us probably sigh, hearing it as one more requirement that we have never been able to live up to. But what if we were to listen to our hearts, and hear it as a need to faint, a need to lay down our “doings” and simply make our needs known to Christ, and rest in him? How do we go about actually “doing” rest? When Jesus was preparing for his public ministry, as well as his battle with Satan, he went to the desert—away from the synagogue, away from people, away from family and friends. Matthew tells us that God’s Spirit led Jesus into the desert to be tempted by the devil. He prepared for spiritual battle by separating himself from all dependency on the provisions of this world, starting with the most basic: food. He fasted for forty days. He abided in prayer, in communion with his Father in heaven. When Satan came to test him with the things of this world, he answered him not with intellectual argument, but rested in the truth of Scripture. And when he had resisted the devil by abiding in the Spirit, angels came and ministered to him. There is a place on each of our spiritual journeys where the Spirit also desires to lead us into the desert. We hear him calling to us in the restlessness and weariness of our own heart. The first time the Spirit speaks to us, we don’t know it is him. We assume we are just not doing enough to be spiritual, and so we renew our religious efforts instead of fainting. 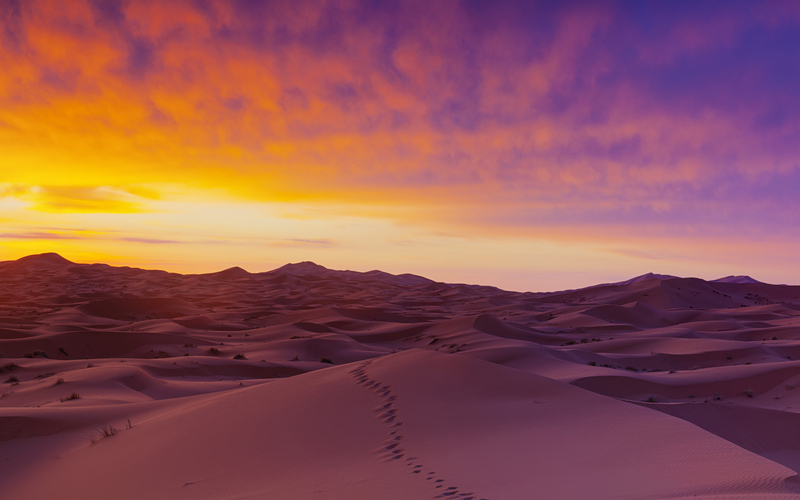 Sometimes, like Samuel when God spoke to him in the night, we go through this process two or three times before we realize it is God speaking to us in our heart and follow him into the desert.